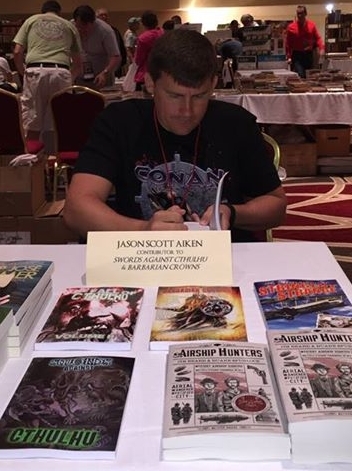 Jason Scott Aiken writes fantasy and horror fiction. He especially enjoys penning sword & sorcery and weird fiction. Jason is also the host and producer of Pulp Crazy, a video blog and podcast dedicated to classic popular literature, characters, and themes. The web address is http://pulpcrazy.com. Photo courtesy of Christopher Paul Carey.